Ouch! The ol’ “Charlie Horse! So what is a baseball player to do when they are afflicted with muscle cramps? Summer ball is on it’s way. The “dog” days of playing under the soon will be soon here, and there isn’t a lot of time before hydration becomes an issue. Are you ready to make sure that you aren’t a victim of injuries caused by fatigue and or muscle aches and cramps. 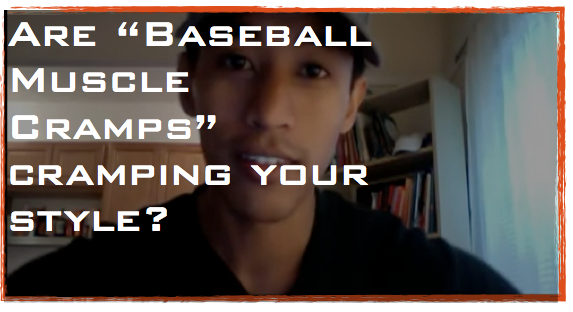 In this Q/A episode I talk about what you can do to make sure “Baseball Muscle Cramps” will not “Cramp” your style! Don’t forget to leave a comment below. Tell us what you feed your baseball player before each baseball game!